Kinetix Sports Club | Energy In Motion! Get unlimited access to our classes and gym! Fill out the form below and a Kinetix representative will be in contact with you shortly. Get unlimited access to our classes and gym! Fill out the form below and a Kinetix rep. will be in contact with you shortly. WHY KINETIX IS RIGHT FOR YOU? We’re not a franchise, we’re family owned! Customer satisfaction is our main goal, which makes us stand out past our competition. If you are in the market for a full-service facility, Kinetix Sports Club is the place for you. If you’re in the market for a full-service facility, you’re in the right place. You can always be assured that Kinetix Sports Club is constantly striving to stay on the “cutting edge” of the fitness industry. Our personal trainers are certified through a nationally recognized organization. Discover the benefits of working with a personal trainer who will design a customized workout plan to provide ongoing motivation, support, and will help you achieve your fitness goals. 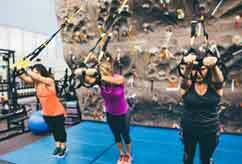 Kinetix memberships are on a month-to-month basis. Please stop by our club to see all that we have to offer or feel free to call our Front Desk for more information. 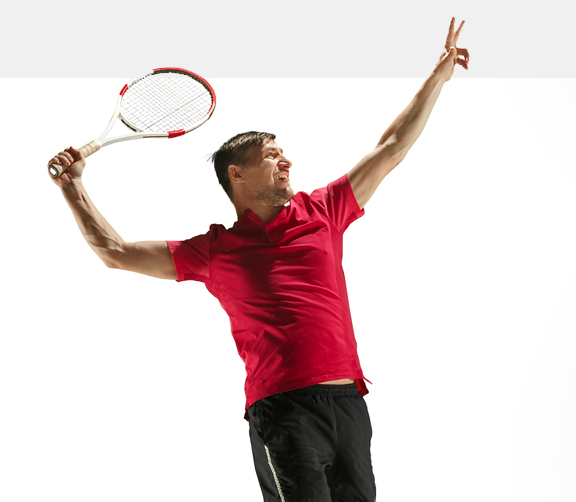 Many sports can provide excellent health benefits and some can promote mental and emotional growth, but none can compete with tennis in delivering overall physical, mental and emotional gains to those who play. 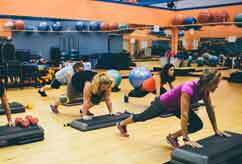 What ever your fitness level, our certified instructors will motivate and guide you through a safe and effective workout in our 1200 square foot aerobic/group exercise facility. Our suspended hard wood flooring system minimizes workout related joint stress. Spinning is a 45 to 60 minute intense cardiovascular workout. 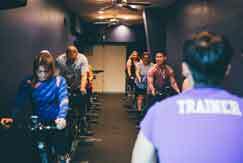 Each class / journey is taught by one of our certified Spinning instructors. The instructor will lead you through a ride for your mind and body while building power, strength, and endurance. Kinetix Sports Club offers a full range of cardio equipment and strength training equipment to help you achieve your fitness goals! With over 20,000 sq. ft. of fitness area there are no lines, no limits to what you can achieve in our fitness center. Our classes are designed for all levels to develop your emotional, physical and mental strength. Looking to reduce your stress, tension, improve your muscle tone, and boost your self-esteem? LOOKING TO GET IN THE BEST SHAPE OF YOUR LIFE? Sign up to the Kinetix Newsletter and get benefits!